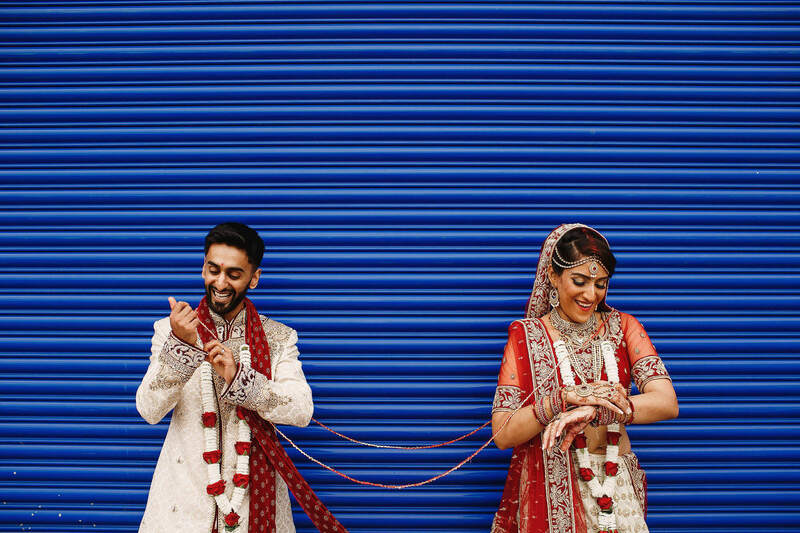 Nikita and Anand had booked me for their wedding at Meridian Grand in London because they had seen me in stealthy ninja action at Natasha and Neil’s London wedding and also Natasha and Sachin’s Cardiff wedding… I actually don’t have any stealthy ninja skills really, but it’s always super-extra-flattering when someone likes my photos and has also seen the happy, relaxed and friendly way I work to achieve them and wants to book me for their big day. 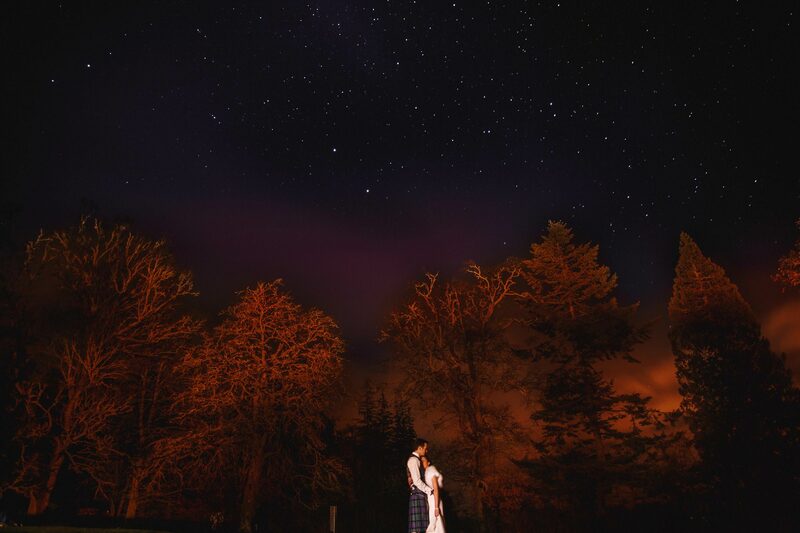 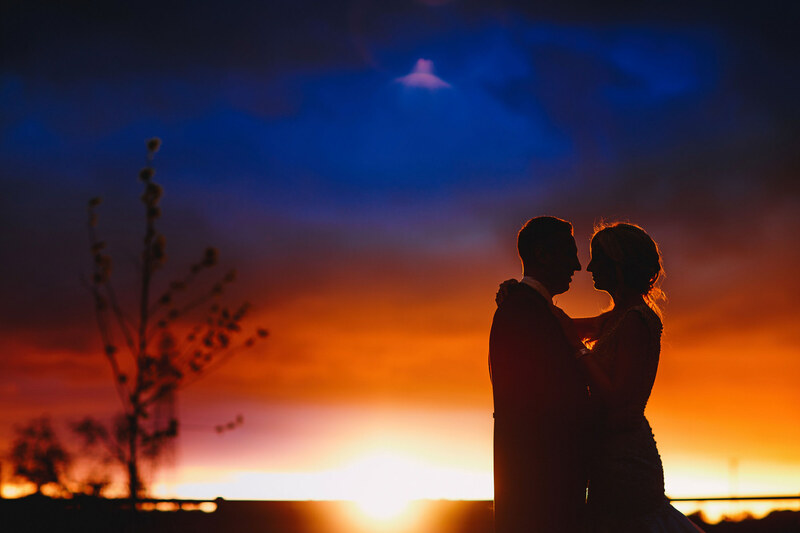 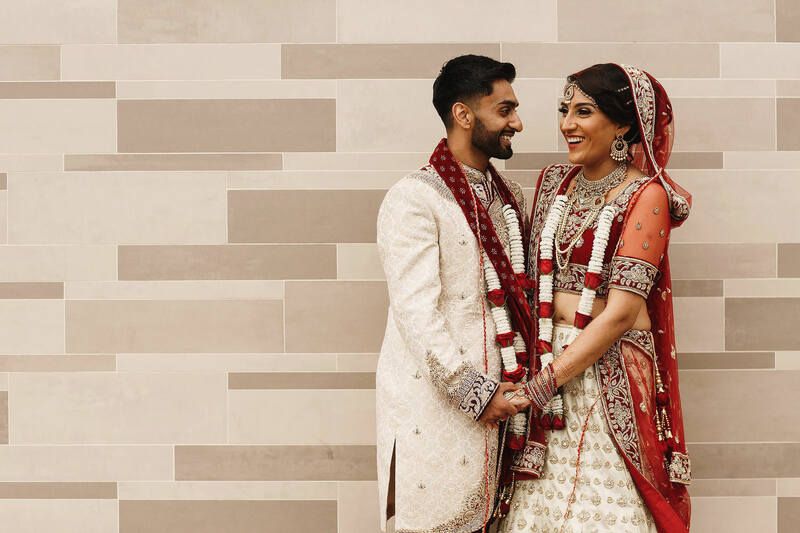 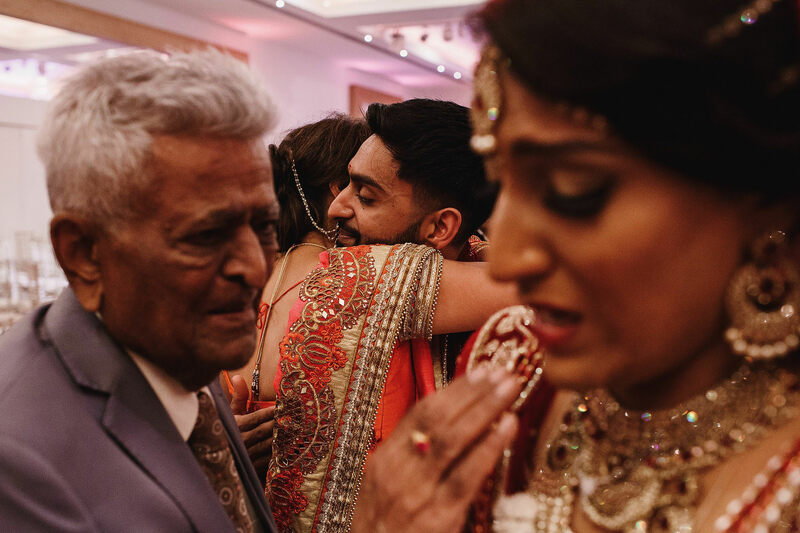 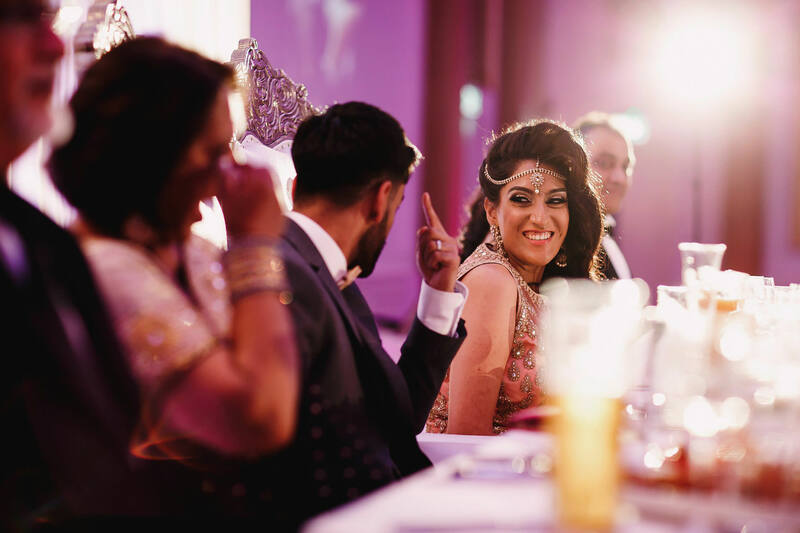 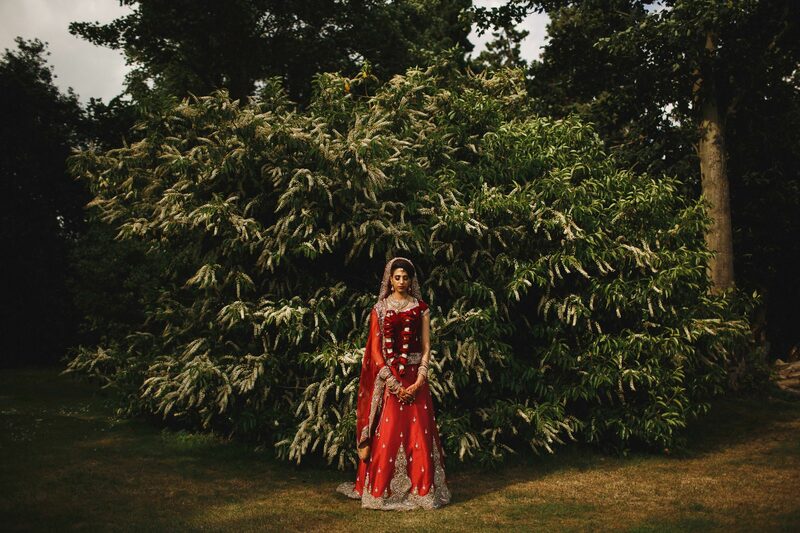 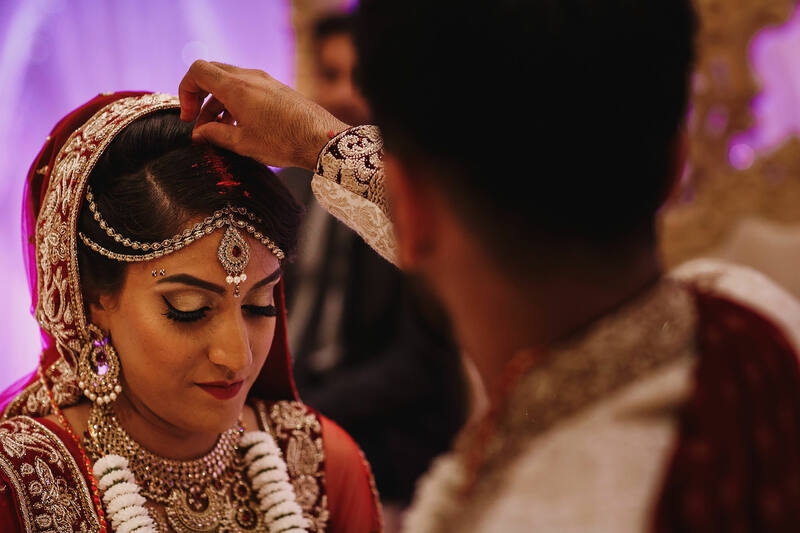 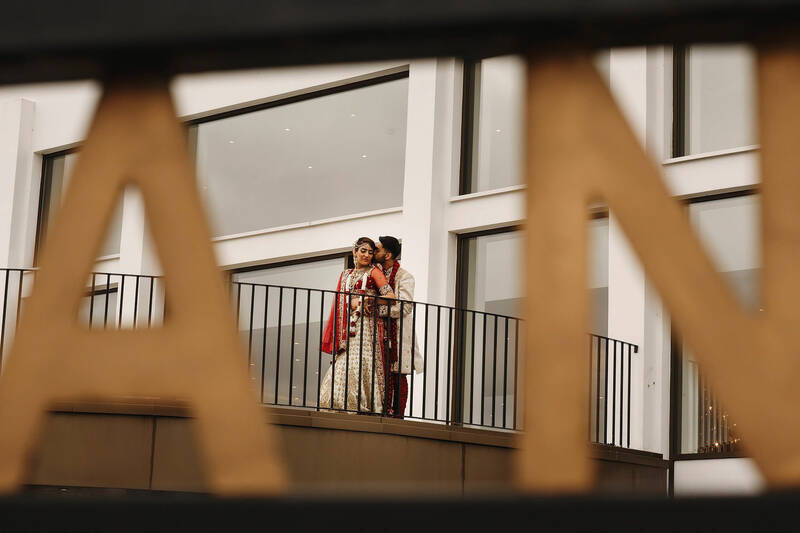 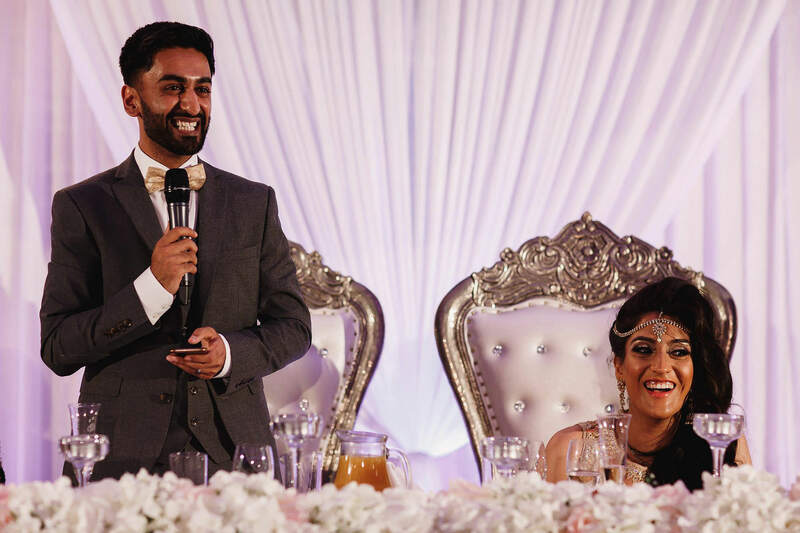 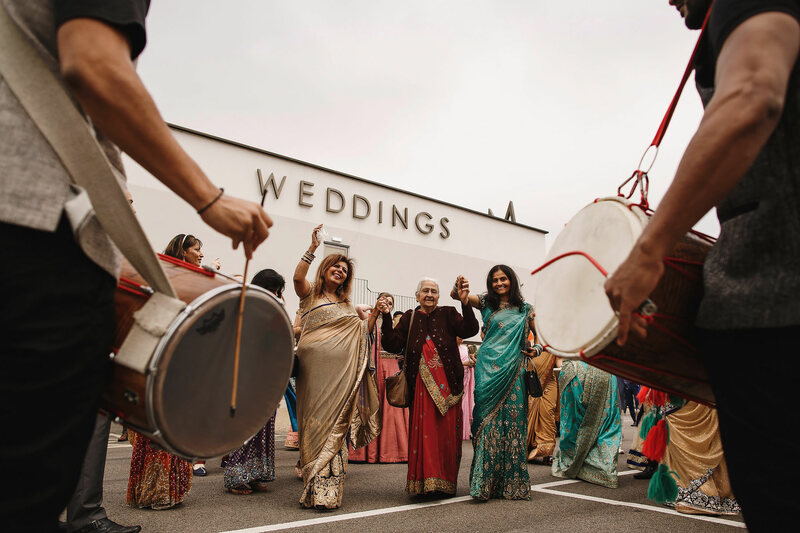 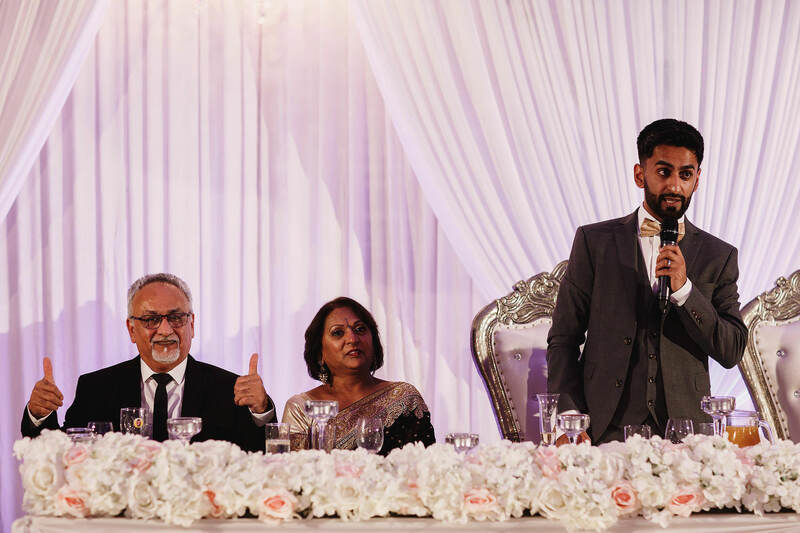 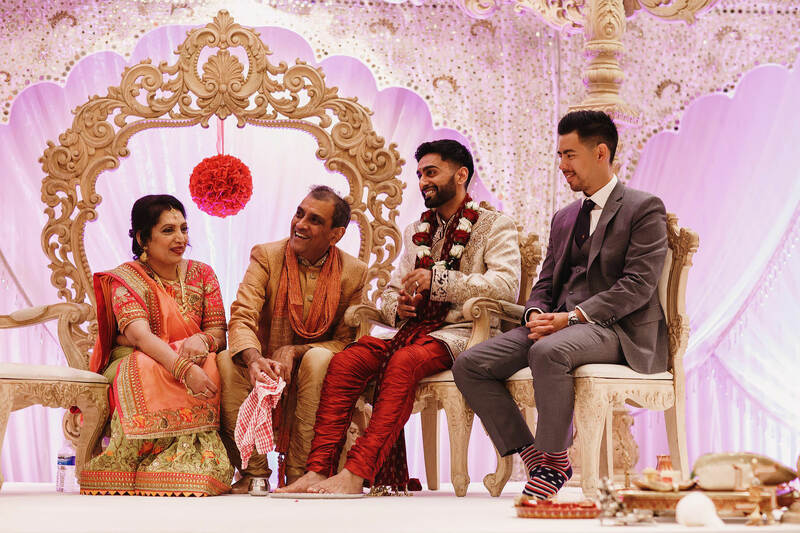 I absolutely love working for this family so I had been looking forward to Anand and Nikita’s wedding for aaaages, since having a very long northerner-to-northerner conversation on the phone with Anand! 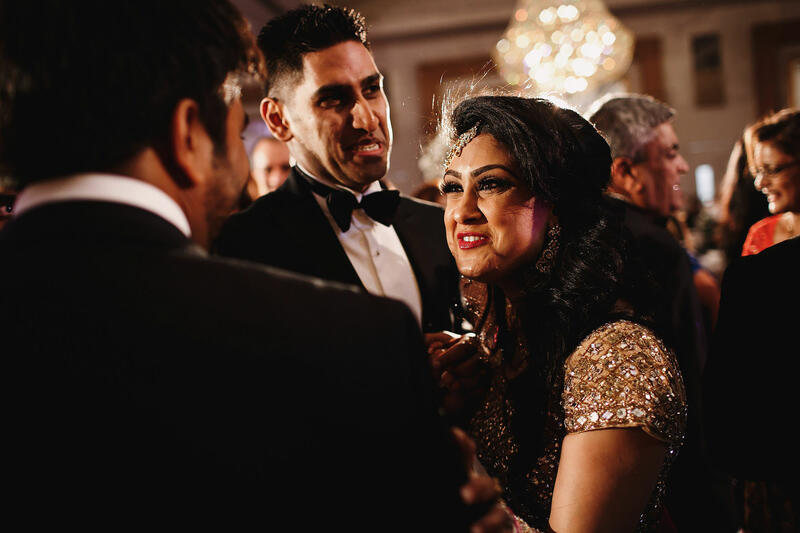 When I arrived at Meridian Grand on Nikita and Anand’s wedding day it was brilliant to bump into my lovely friend Mandy of Aphrodites Make-up Artist who is just one of my absolute favourite people to work with. 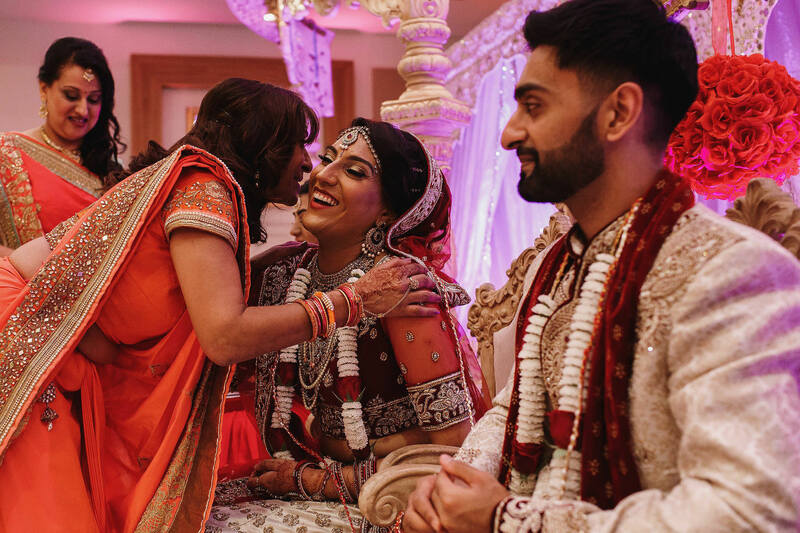 I love the way she is with her brides and it’s always a great atmosphere during hair and makeup with her! 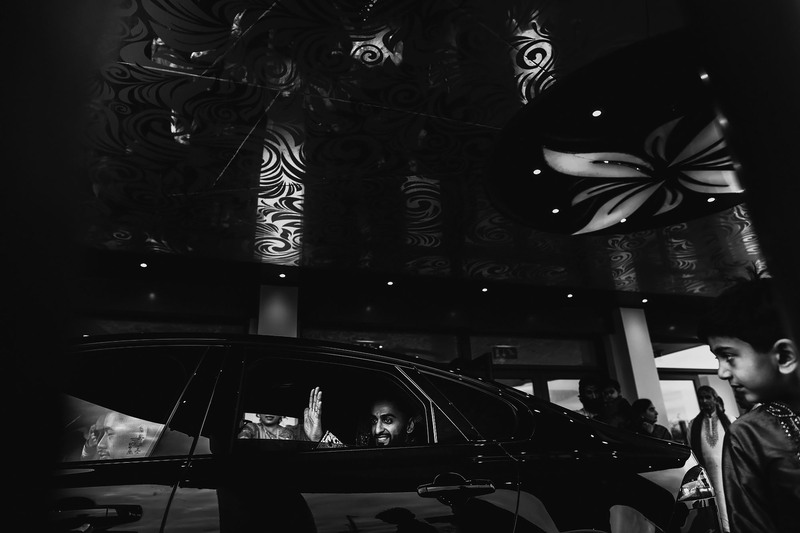 Hopefully see you again soon Mandy!! 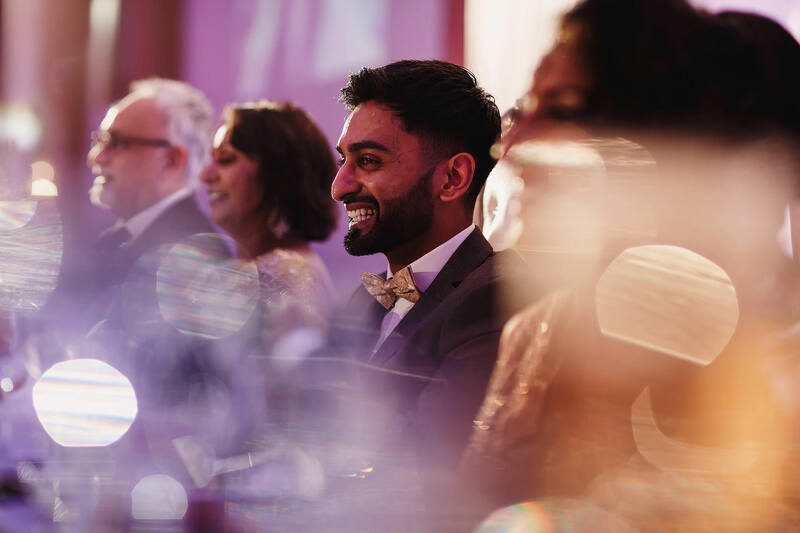 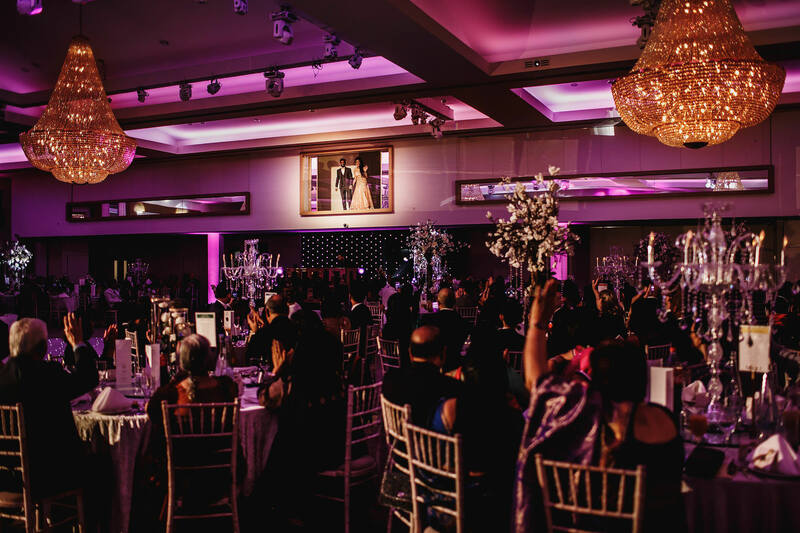 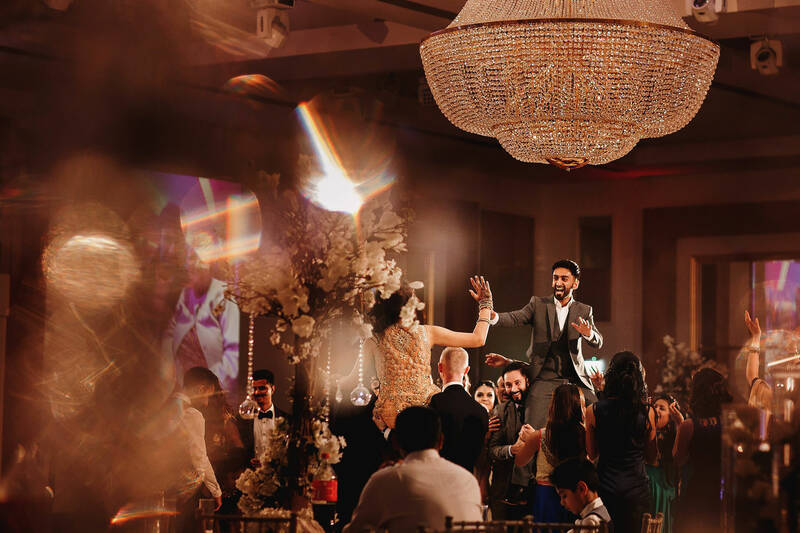 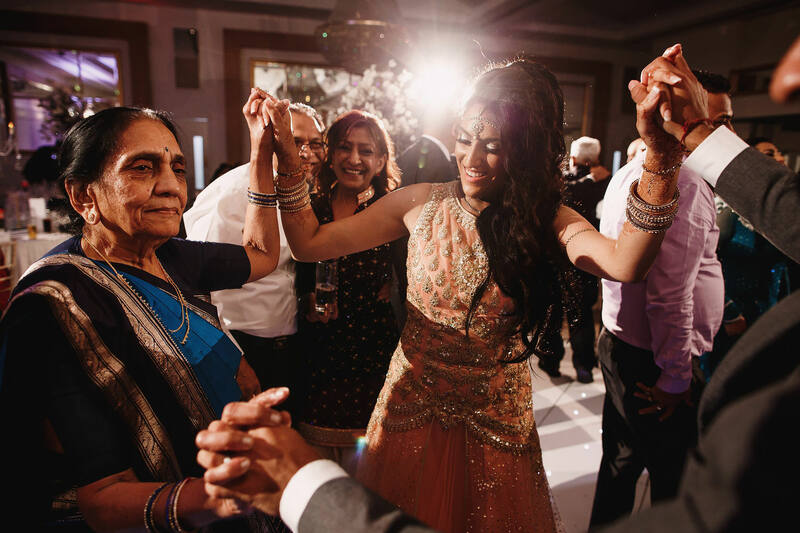 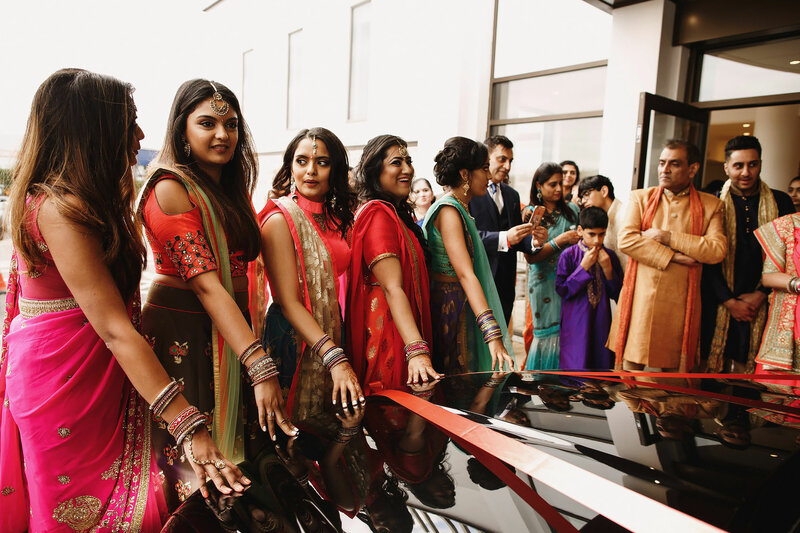 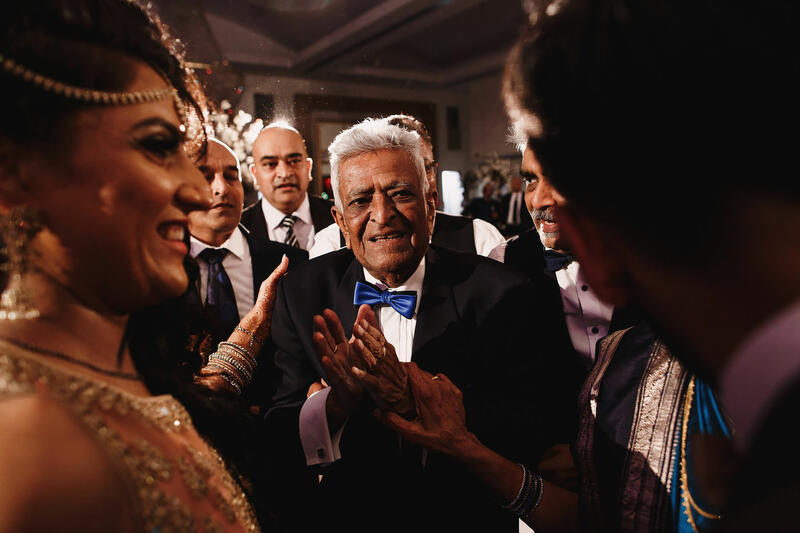 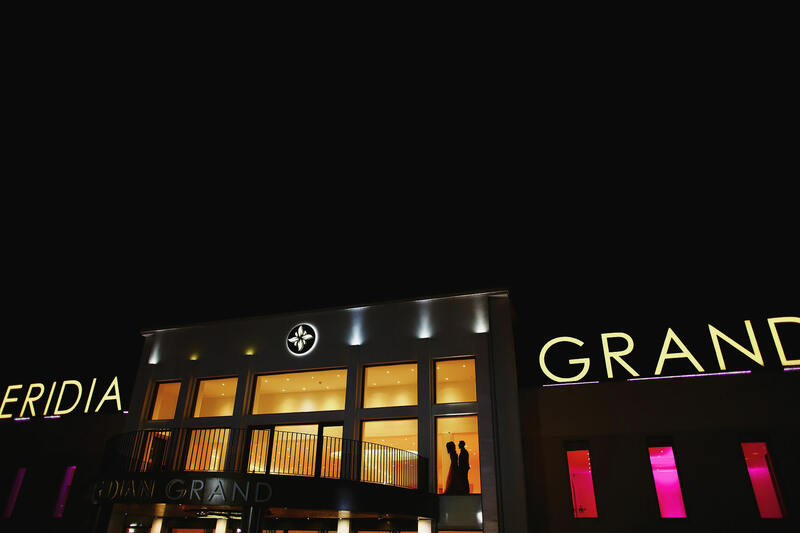 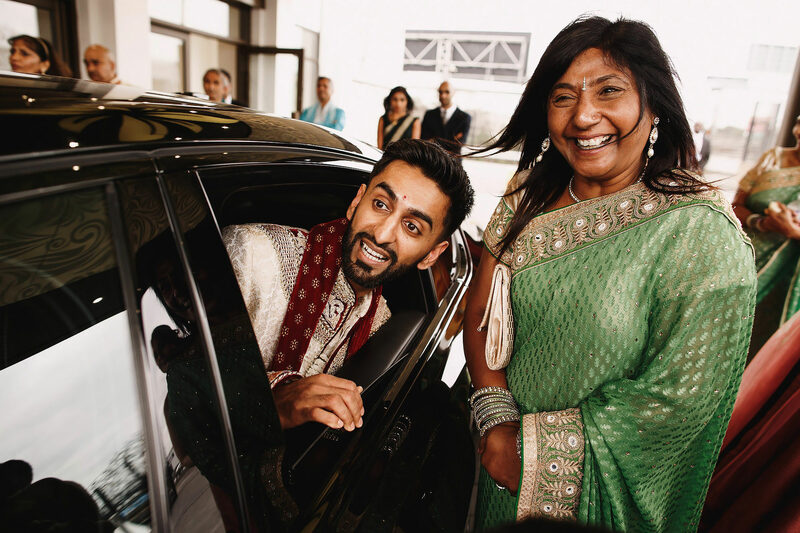 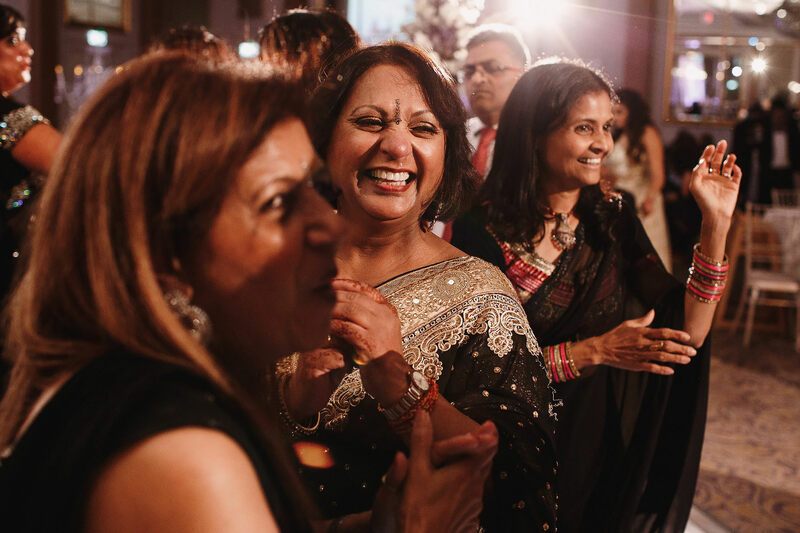 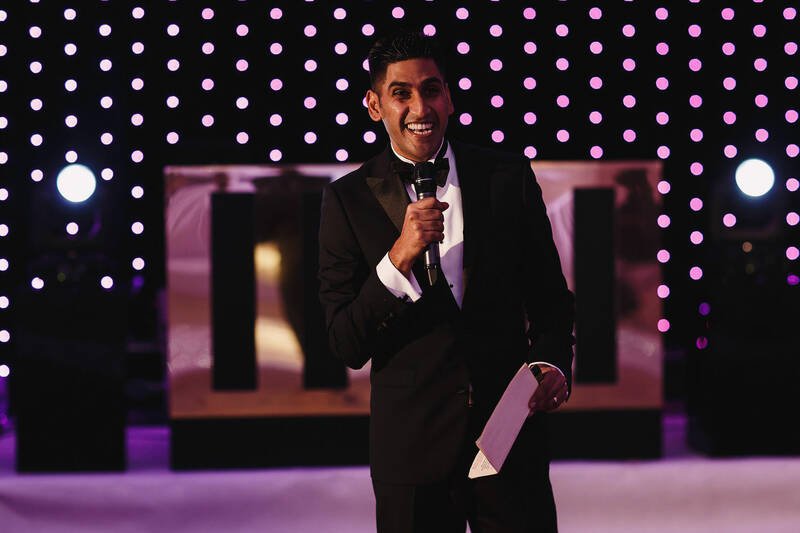 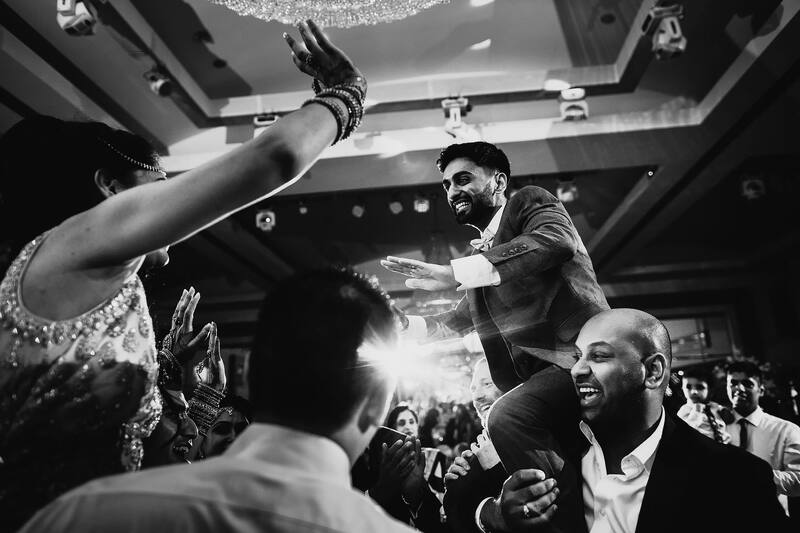 It didn’t take long for the party to get started once Anand arrived and his family cheered and danced him round to the entrance of Meridian Grand where Nikita’s family were waiting for him. 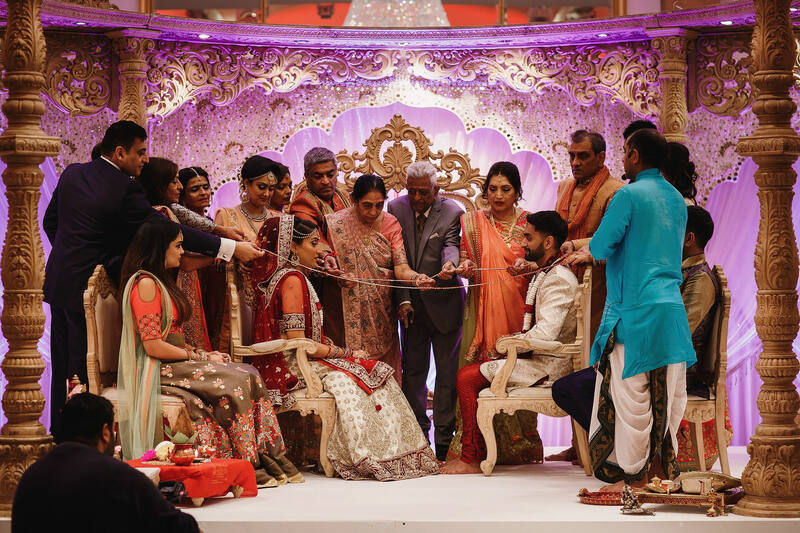 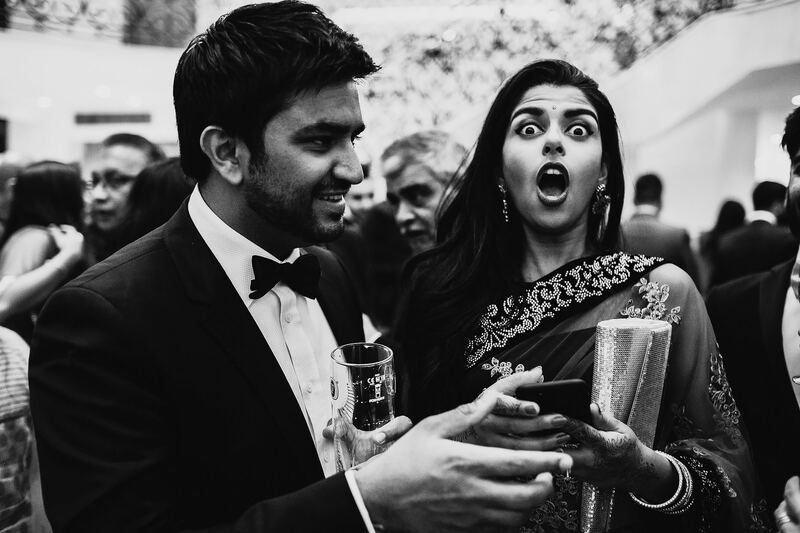 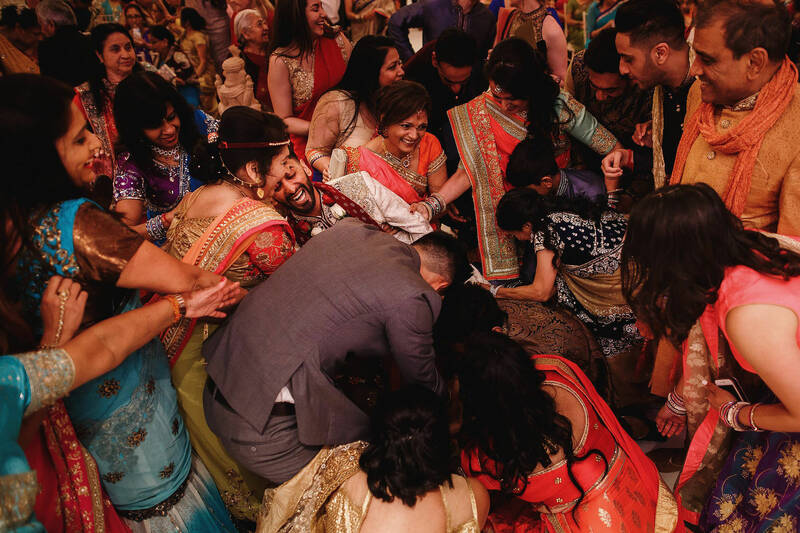 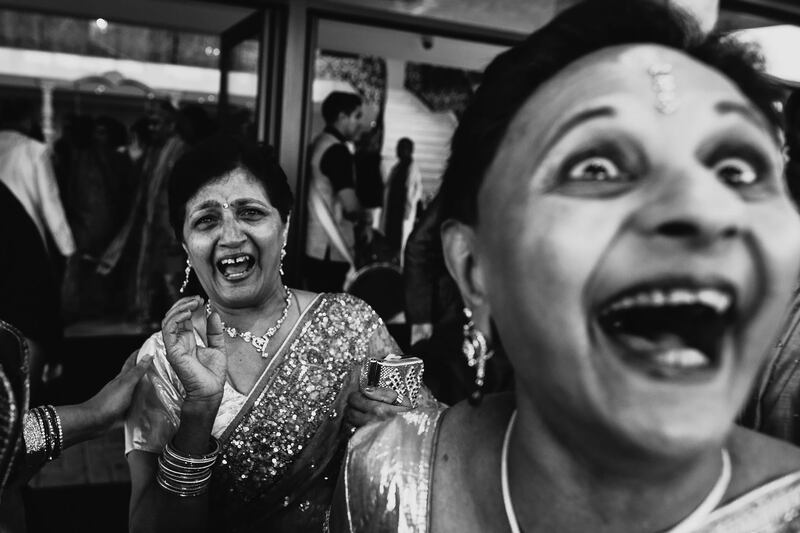 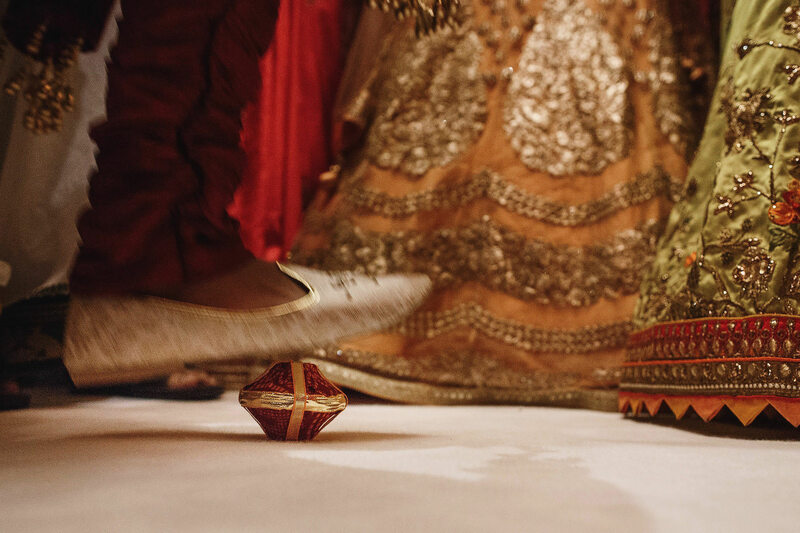 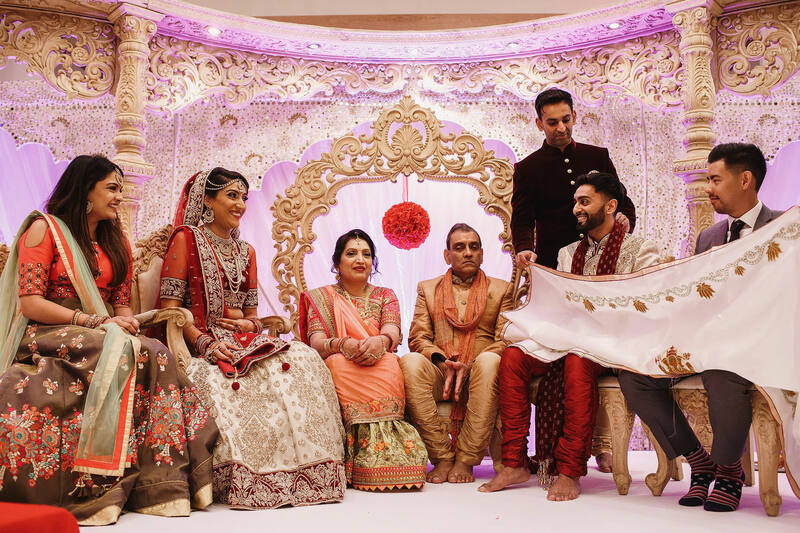 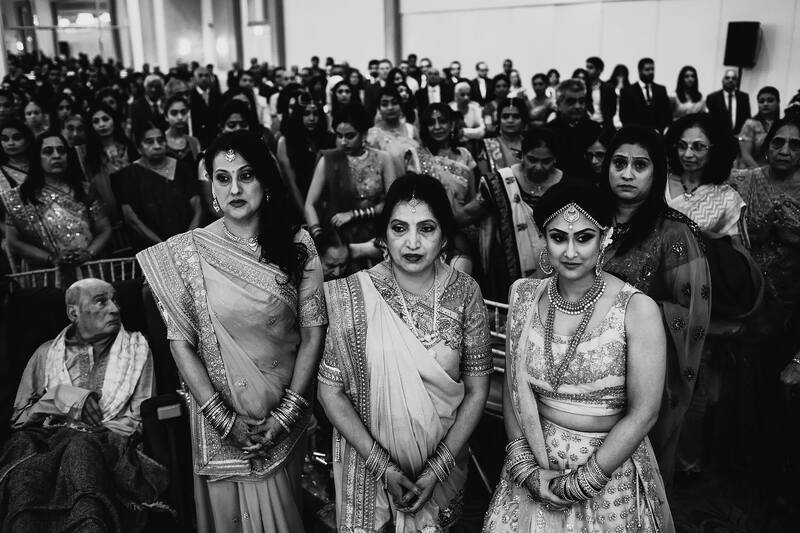 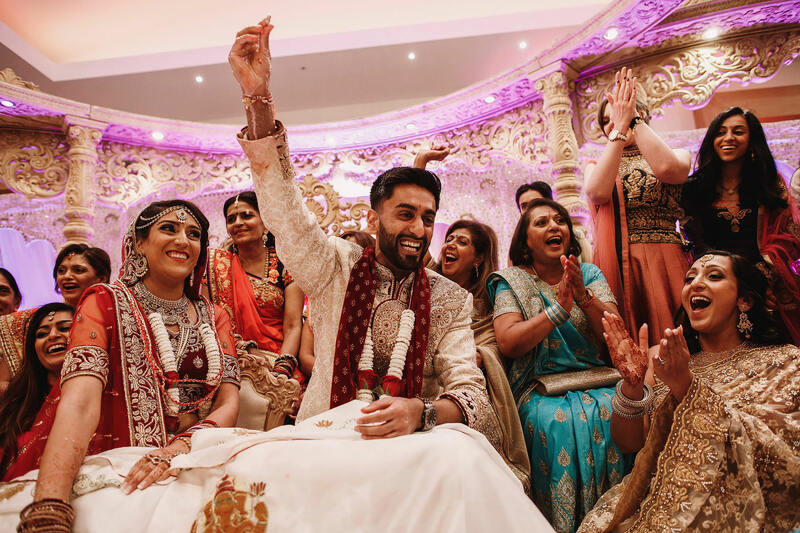 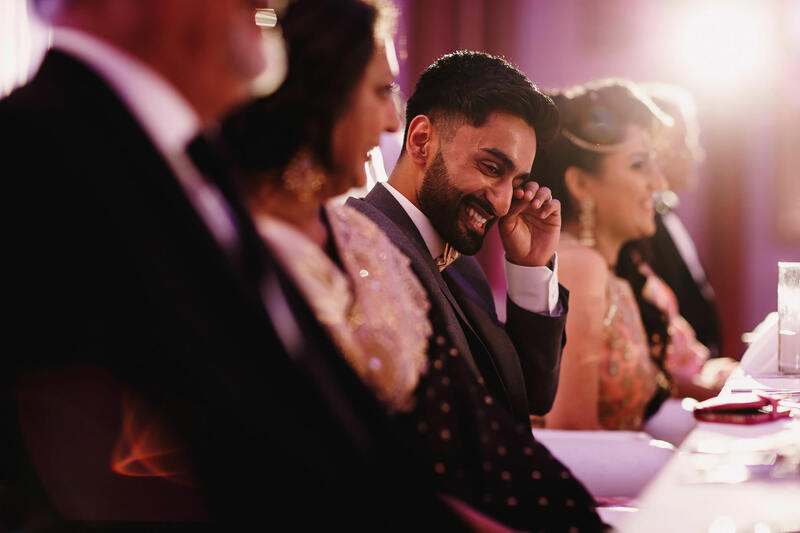 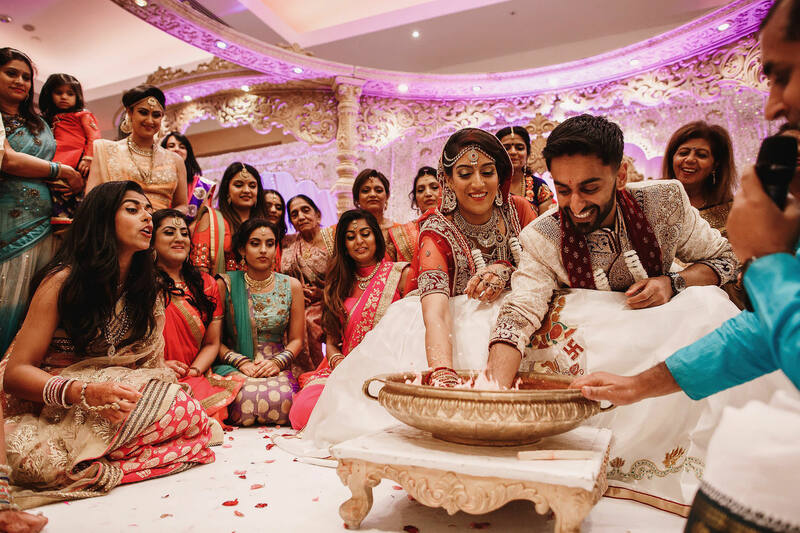 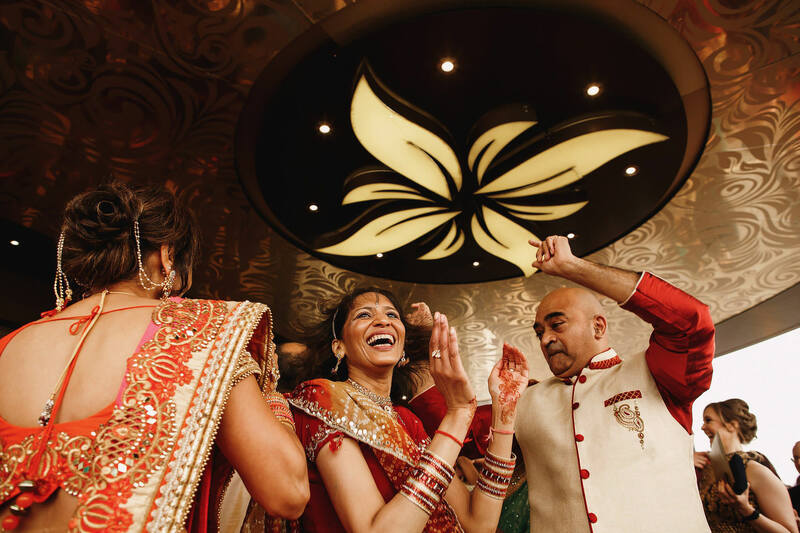 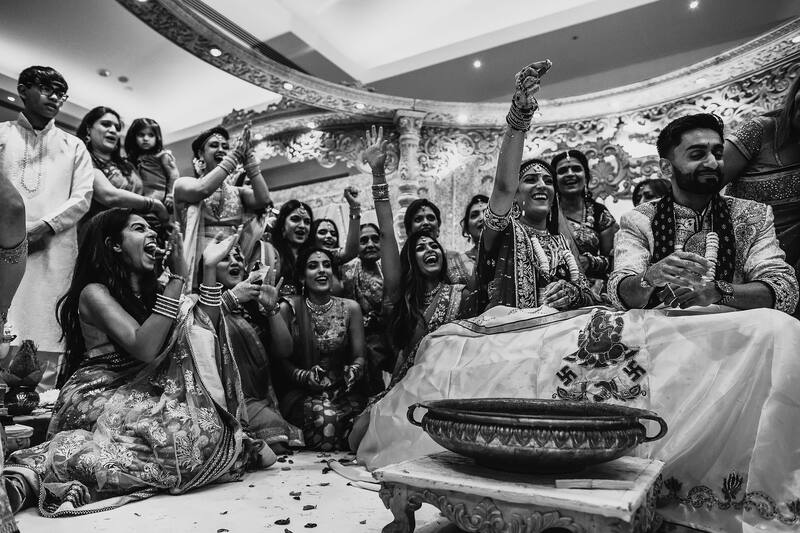 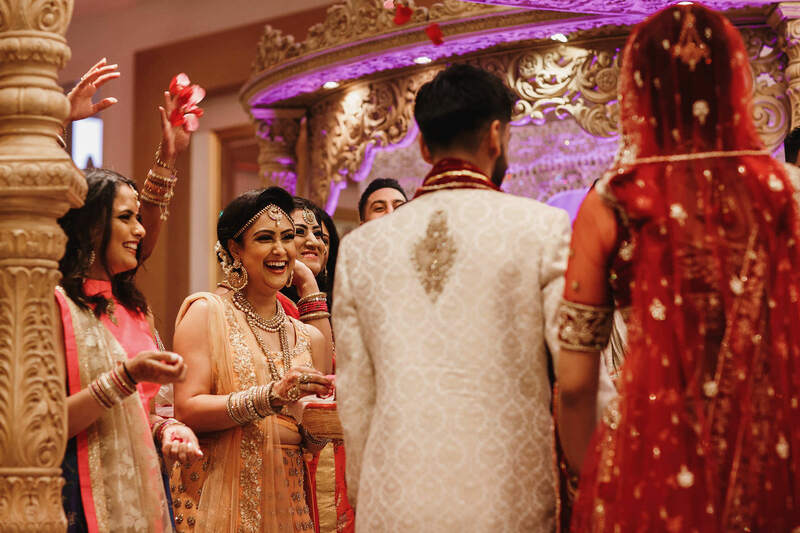 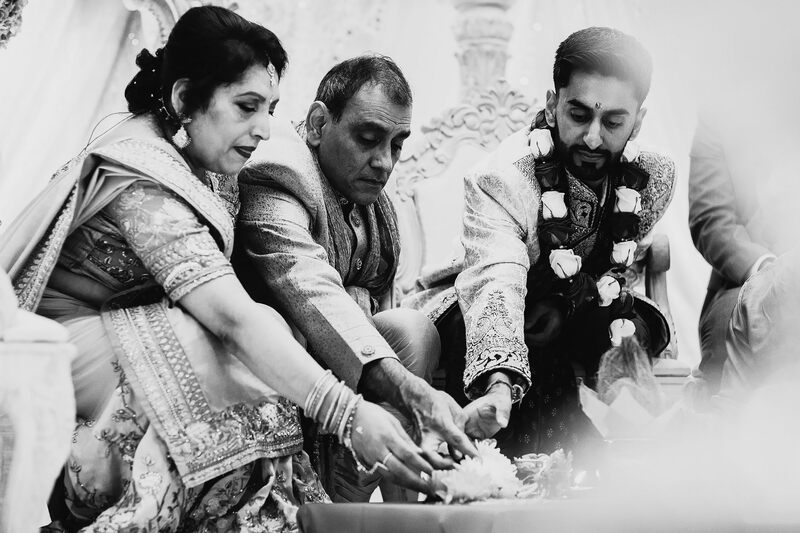 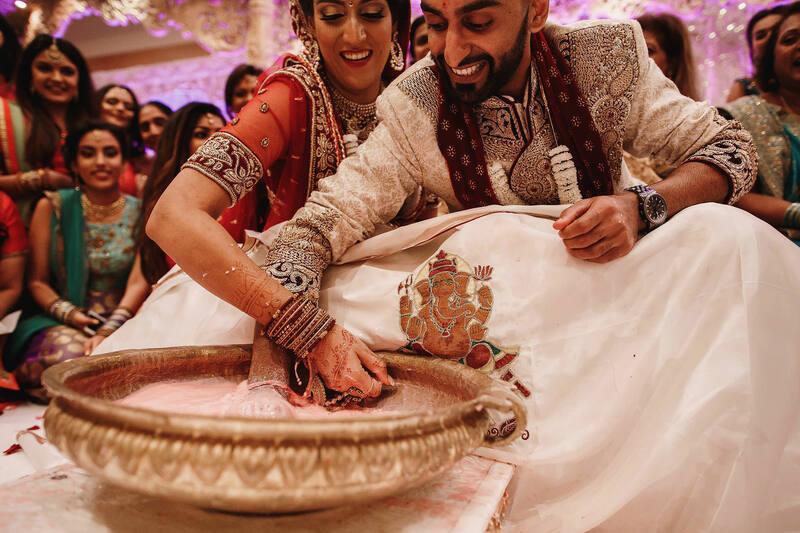 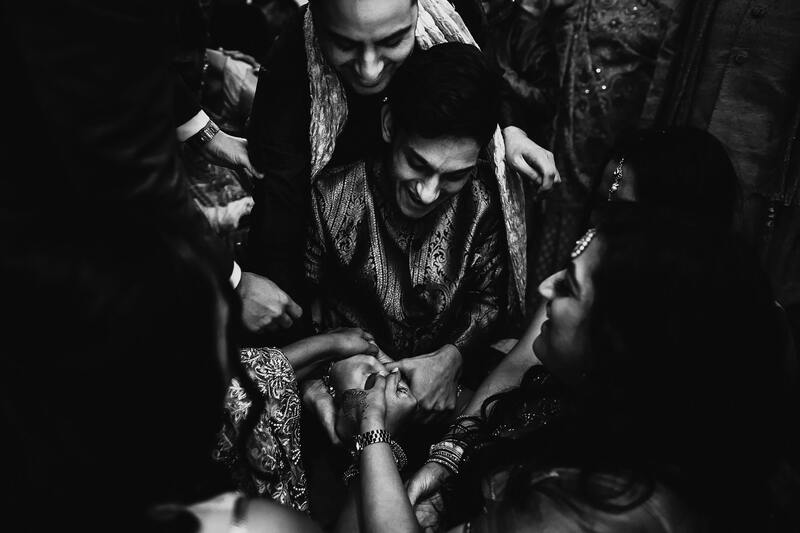 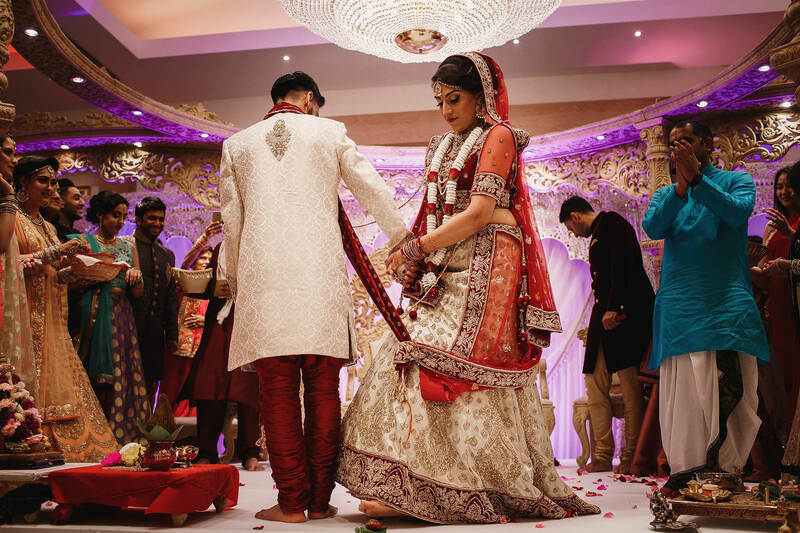 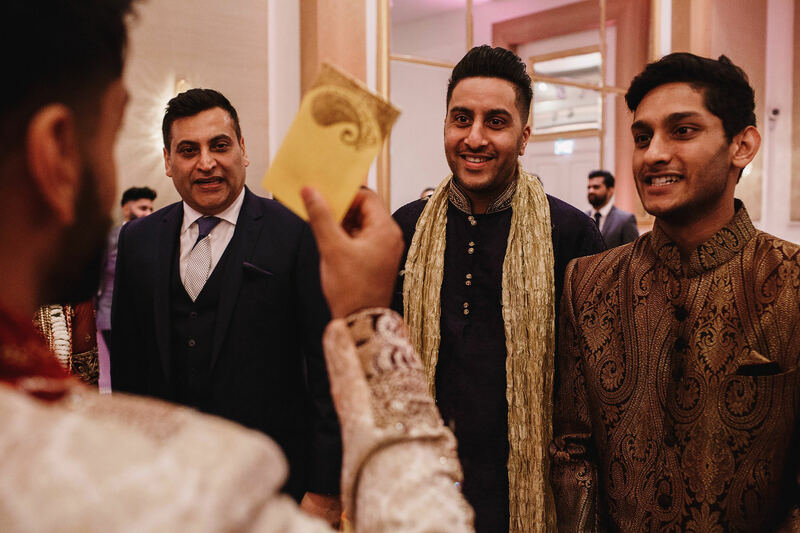 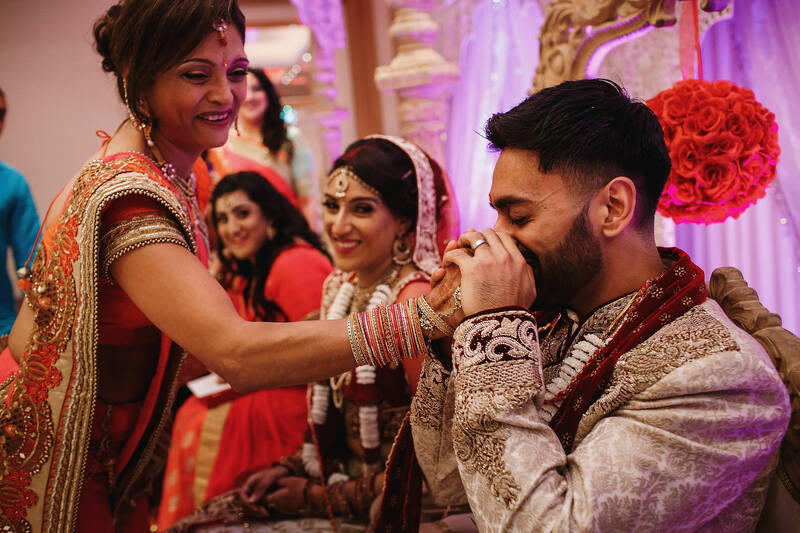 This is always one of my favourite parts of Indian weddings but I’ve never seen chaos like when Nikita’s family tried to steal Anand’s shoes as he approached the Mandap – total carnage! 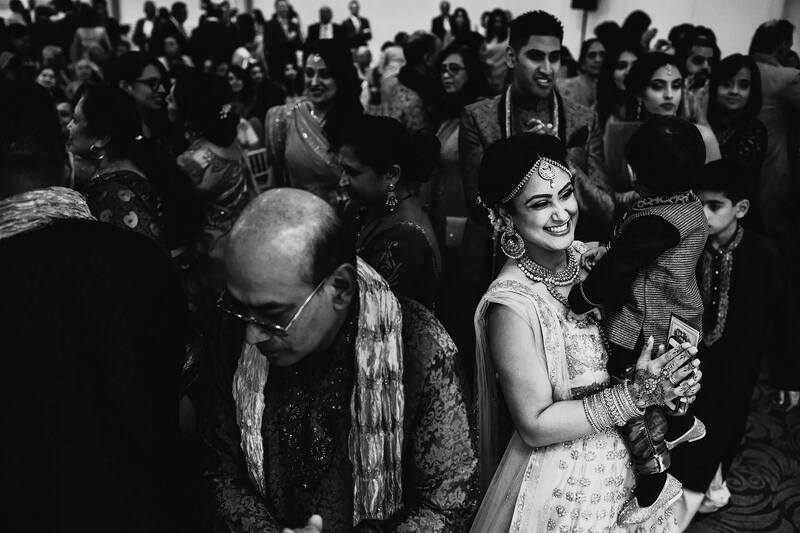 But it all settled down for Nikita to make her entrance, and a really beautiful ceremony followed. 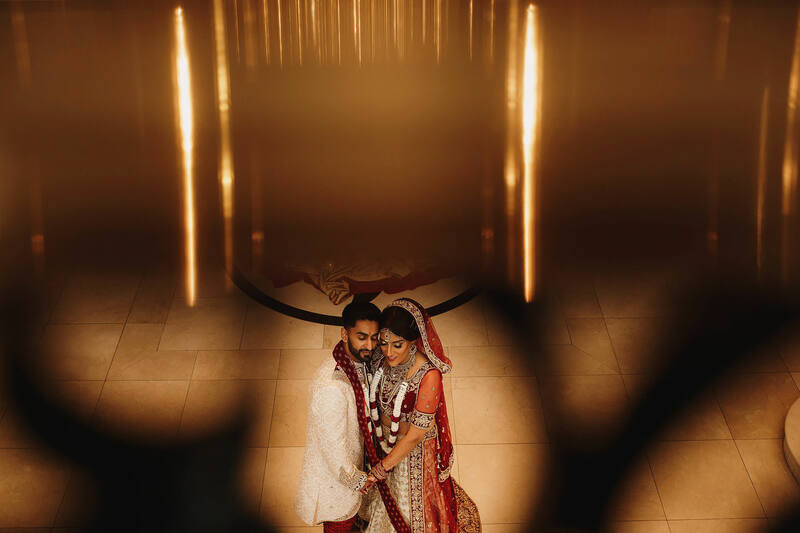 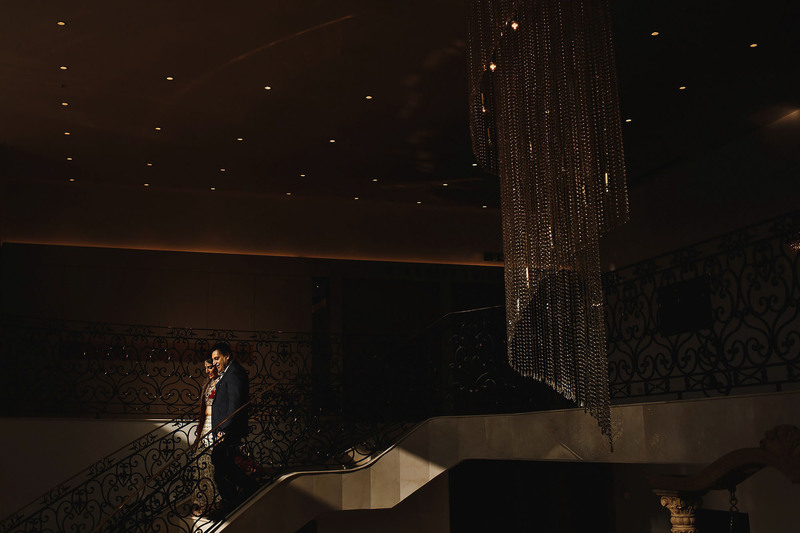 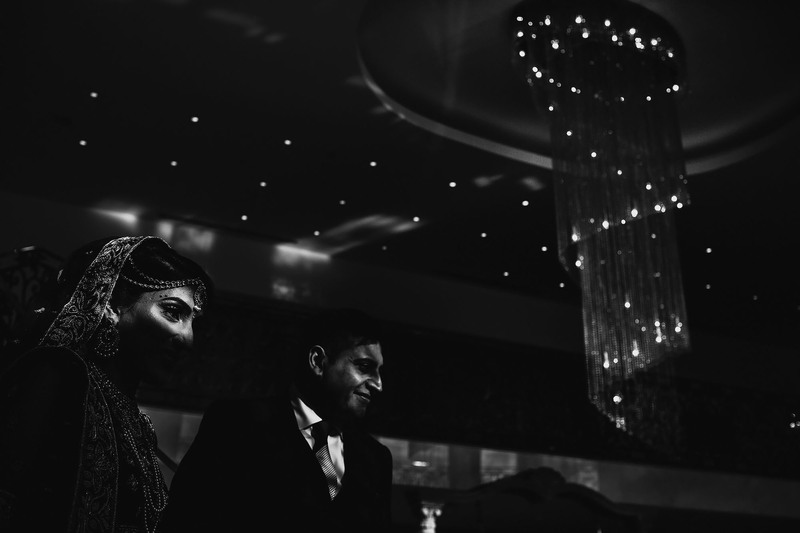 Afterwards we explored some cool spots around Meridian Grand for some portraits of Anand and Nikita before they completed the ceremony with some games and then said goodbye to their families in an emotional Vidaai. 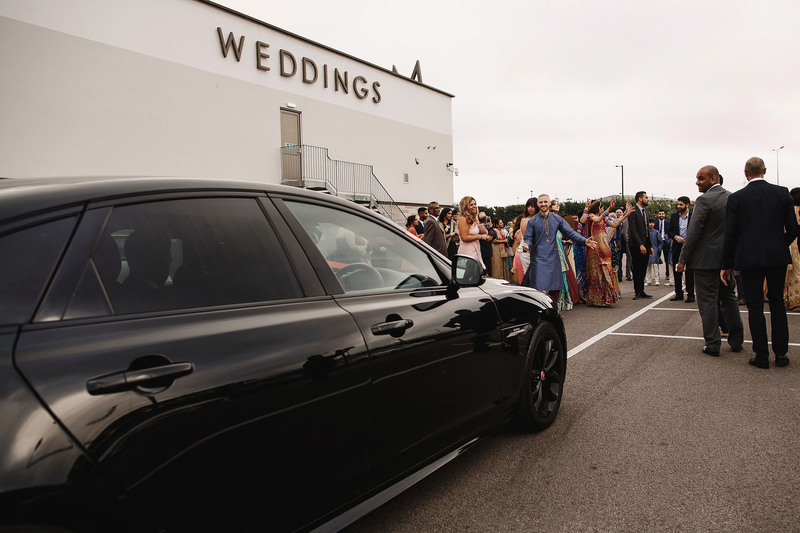 They made a very grand entrance to their reception later on in the evening and partied the night away with their favourite people. 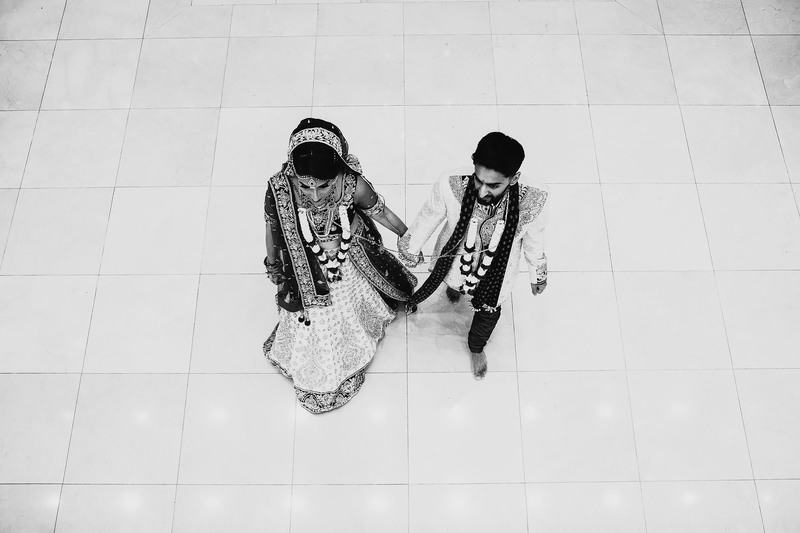 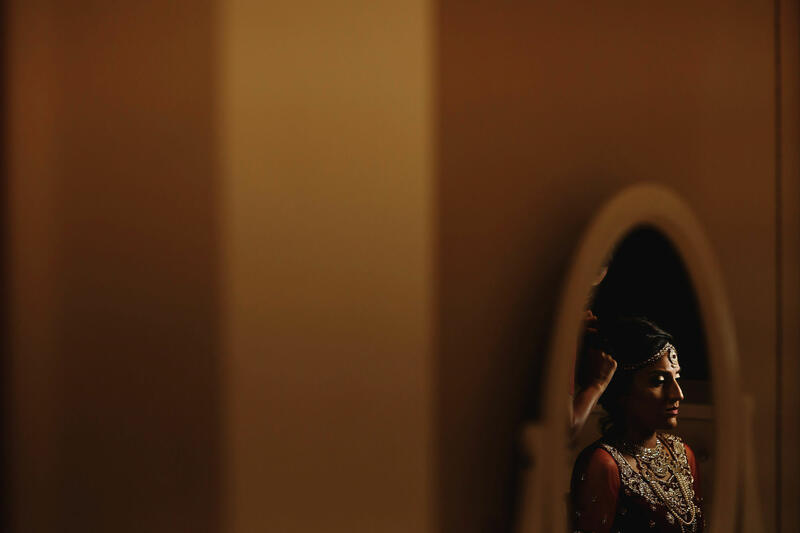 < Kishan + Sachna. 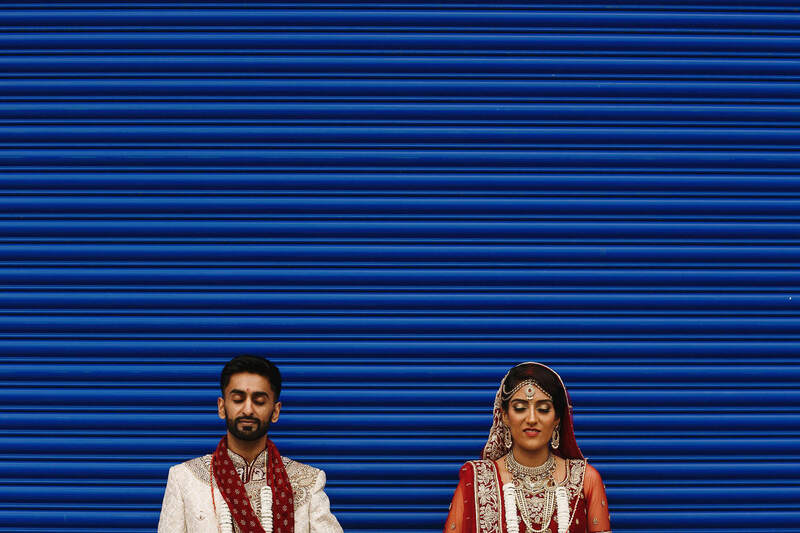 Sgwd yr Eira, Brecon Beacons. 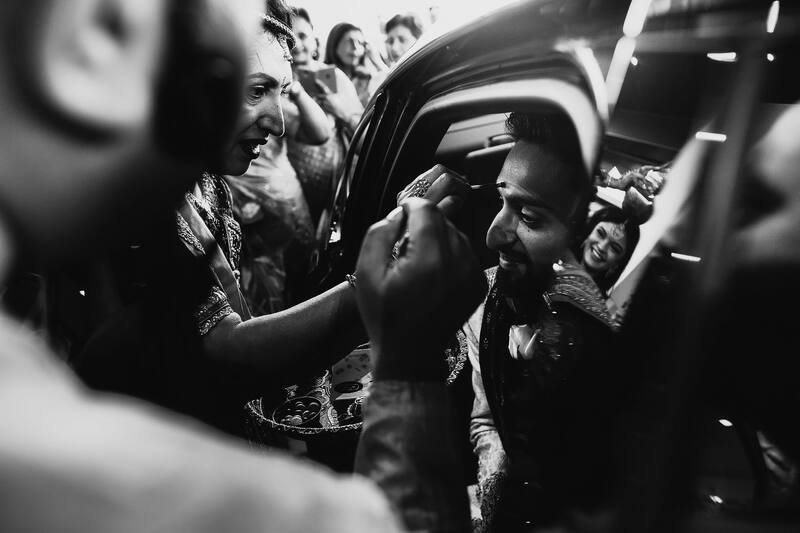 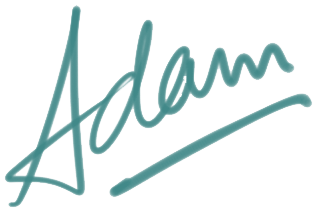 Absolute world class throughout my friend – your in a league of your own dude. 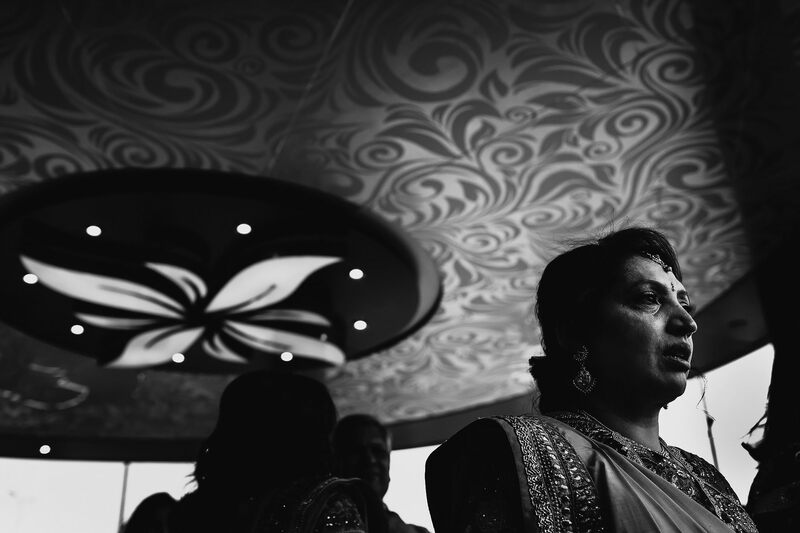 Every frame is just pure real beauty throughout.